Some political observers dubbed the 2008 presidential campaign as 'the Facebook Election'. Barack Obama, in particular, employed social media such as blogs, Twitter, Flickr, Digg, YouTube, MySpace and Facebook to run a 'grassroots-style' campaign. The Obama campaign was keenly aware that voters, particularly the young, are not simply consumers of information, but conduits of information as well. They often replaced the professional filter of traditional media with a social one. Social media allowed candidates to do electronically what previously had to be done through shoe leather and phone banks: contact volunteers and donors, and schedule and promote events. The 2008 Election marked a new era where the candidates no longer had complete control over their campaign message. The individual viewer in a campaign crowd with a cell phone can record a candidate's gaffe, post it on YouTube or Flickr and within days millions will be gasping or guffawing. The traditional campaign, with its centralized power and planning, although not dead, now coexists with an unstructured digital democracy. 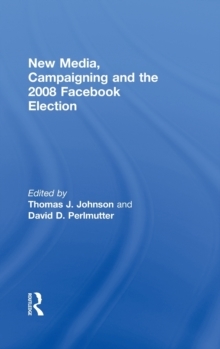 New Media, Campaigning and the 2008 Facebook Election examines the way social media changed how candidates campaigned, how the media covered the election and how voters received information. This book is based on a special issue of Mass Communication & Society.